Participation was restricted to three aircraft per nation. British representatives, managed by A.H.Orlebar, were two Supermarine S.6s flown by Waghorn and Atcherley, and the D'Arcy Creig's Supermarine S.5. Stainforth was in reserve with two Gloster Napier 6. Italy presented two Macchi M-67s flown by Lts. Remo Cadringher and Giovani Monti, and one Macchi M-52 flown by Tomasso Dal Molin. It was the second participation for Al Williams, but he gave up during tests. The French, lacking time, did not enter an aircraft. Hundred of thousands of spectators, mainly at Southsea beach, attended the final race in magnificent weather. 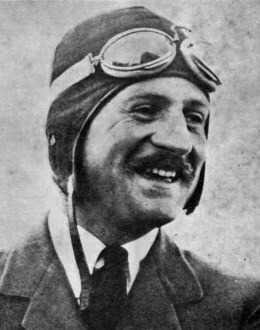 The great winner was Flight Officer Henry Waghorn, who completed the first, at 14h10 in an S.6, ran at more than 500 km/h, increasing the speed and finishing the 350 km race in 39 minutes 42 seconds, with an average speed of 528.867 km/h. Even though the race record was 453 km/h and the 100 km record was 511.770 km/h. Dal Molin was second in 45 min. 54 sec. (457.365 km/h) and D'Arcy Creig was third in 46 min. 15 sec. (454.200 km/h). Atcherley was disqualified for missing a pylon, his glasses were carried away by the wind. Despite this, he improved the 100 km record with 533.888 km/h and the 50 km record with 535.790 km/h. The two other Italians had to land. Monti was burned on the arms and shoulders, and Cadringher was suffocated by exhaust gas. Some sources locate the contest in Spithead or Lee-on-Solent.